A decade ago, the world lost an amazing singer and spirit in Aaliyah Dana Haughton. I remember waking up, going to the kitchen, and seeing my mom look a little nervous. When she saw me in the kitchen, she said: "I don't know how to tell you this...Aaliyah passed away in a plane crash today." I was shocked. I told my mother that she had to be wrong, that she confused Aaliyah with another artist, that it was just a rumor. And then I turned on the news, and saw it for myself. I didn't know what to do. I was overwhelmed with sadness. Here's someone who I never met, never talked to or anything, and yet I was so affected by her passing. 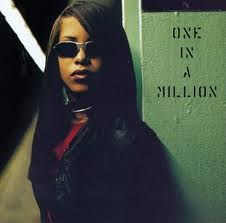 And I think that speaks to the power of Aaliyah. She beautifully touched people across the world (people who had no personal interaction with her) with her voice, personality, artistry, and infectious smile. To all fans of Aaliyah and The Chronicles, feel free to share with us your favorite memory and/or song with us. Rest In Peace, Baby Girl. We will never forget you.